NISEYNISEY's SparkPage - Doing it for me! NISEYNISEY's SparkPage - Doing it for me! 2 months of ChaLEAN Extreme! NISEYNISEY is a SparkPeople Motivator! I've battled with my weight since the 4th grade. My starting weight in 2006 was 280lbs. I lost 50 pounds doing only home workout dvds and then I lost an additional 50 pounds doing BeachBody dvds. Everyone asks "How did you do it?" May 18, 2009: 193.2, 6.5" lost after 2 weeks on ChaLEAN, 11.8 pounds lost. 5/21/2010: MOTIVATOR OF THE DAY?!?! LIL OL' ME?!?!?! Hi! I found your page through a search on Chalean Extreme! Congrats on your success. Have a Happy Thanksgiving! Keep it Sparkin'! Congratulations on your successful journey to a healthier you. You are an inspiration and A GREAT MOTIVATOR!!!!! I'm going to look up ChaLEAN Extreme and see if I can make this as successful for me as it was for you. 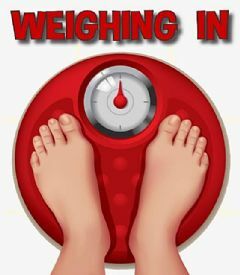 My highest weight was 301 lbs (April 2011)...I have already lost 36 lbs bringing my weight down to 265 lbs (June 19, 2011). It is just so amazing that I haven't even thought of giving up...like I have done with so many other training exercise programs in the past. Thank you for sharing your journey and especially posting your list of exercise videos. Wishing you continued success!! !